People that know me well will know I’ve suffered from heart problems for about 8(ish) years. I’ve constantly battled with breathlessness, chest pains, skipping/fluttering/pounding heartbeats, there’s been copious amounts of times where I’ve thought “this is it” whist waiting for what seems like forever for my heart to thud back into rhythm. I’ve even been rushed to hospital in an ambulance with a resting heart rate of 180bpm! (the average resting heart rate is between 60-100bpm) Imagine having a heart rate double of what it should be and then having a paramedic try taking your blood while you’re strapped into the bed of a moving ambulance! Would not recommend! For a while I’ve known that I have an irregular heartbeat, but recently after the usual ECG and other tests, the doctor diagnosed me with Intermittent Heart Block (this is where your heart beats irregularly because the electrical signals that control your heartbeat aren’t transmitted properly). So, I now have to take between 6-8 beta blockers a day to control my palpitations. As a Personal Trainer I take my health/diet/training very seriously, and I know that if my electrical signals aren’t being transmitted properly, there’s something not going quite how it should be with my nervous system. So, as I would with any client that has a medical condition I decided to do some research into my new diagnosis. The nervous system is made up of the brain and the spinal cord. Motor and sensory information passes through neural pathways in the forms of nerves coming from the spinal cord. The spinal nerves pass on the vertebral body to be distributed to their point of innervation to various body organs as peripheral nerves. The central nervous system also provides vascular supply to the heart (this is made possible through the coronary circulatory system). The connection between the nervous system and the cardiovascular system gives the main reason why abnormalities in brain activities can increase the risk of heart problems. So, this got me thinking, what could have happened to affect my CNS and cause my heart problems? I realised, I started drinking energy drinks at the age of 13/14. I can’t remember how many cans I consumed per day, but the number was high, especially for a 14-year-old (Did you know the brain isn’t fully developed until AT LEAST your mid-twenties?). It had also become a sort of tradition for me to sit and watch the Formula 1 qualifying on a Saturday and the main race on a Sunday with a crate of energy drinks. I definitely didn’t realise what exactly I was consuming and the effects it would have later on in life. I continued drinking these drinks regularly until I was 16, when I started having heart palpitations. 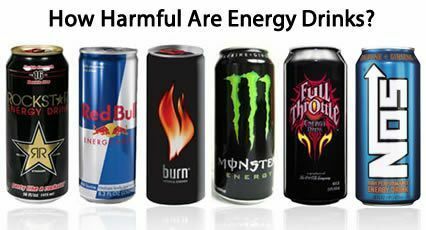 In addition to the high caffeine content, energy drinks contain taurine and guarana, which have proarrhythmic properties, I decided to look a bit more in depth to energy drinks and found a lot of information about how problematic they can be for people of all ages, a lot of cases have even lead to death of a relatively healthy person. High blood pressure, type 2 diabetes, miscarriages when taken while pregnant, obesity, and in my case, neurological and cardiovascular system problems (including palpitations) in children and adolescents. Whilst the evidence is strongly in favour, it’s not 100% certain that the reason I have heart problems is because of energy drink consumption. People are able to make up their own minds and come to conclusions about what they will and will not consume, but I personally would advise anyone that regularly consumes energy drinks to be careful and consider eliminating them from their diets as they've had a massive effect on me and have caused me to be limited with my everyday life and career. As human beings we naturally focus on the negative things in life, take the media and news for example! How little do you hear about the positive things going on in life? And how much do we hear about politics, terrorism etc? This one may appear negative, but believe me it is far from it. Positive thinking does not mean that you deny when things go wrong. Instead think about the things that didn’t go so well, then think what could you have done differently and next time a similar situation comes up, you know exactly how to deal with it avoiding future mistakes and enjoying a more positive tomorrow! 3. Give yourself a pat on the back! This is a very strong point, emphasising what I said at the beginning. Quite often we only look at the ‘bad’ things or mistakes and this can lead to frustration/anger. Get used to giving yourself a bit of credit for what you do right! Pat yourself on the back every time you do something positive, no matter how small it may seem! This is sometimes a difficult one to change, surrounding yourself with people who are eager for you to grow and support you every step of the way is important, cutting lose on those can be difficult, however the rewards will outweigh that. There are many more, but these should get you started, another useful tip is read the autobiography of someone you see as a role model. Working out or taking part in Sport is a great way to relieve any stress as this releases a chemical into your body & brain that improves your mood, this doesn’t have to be a strenuous task. Just going for a walk can be beneficial, and anyone can do that! Music has also been shown to enhance mood, this creating a more positive outlook on life. Wether you are relaxing at home, in the office or driving the car, turn the music up and listen to something that makes you happy! In a nutshell, your are in charge of your thoughts, don’t let them control you. Stop those negative thoughts and realise that you are in control of what you think! So there you have it, some very useful tips to help you stay on top of life and have a positive outlook.